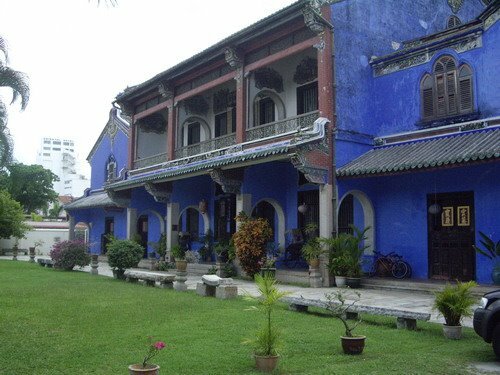 * Cheong Fatt Tze Mansion (Maison Bleu): Cheong Fatt Tze (1840-1917), once dubbed as "China's Rockefeller" by The New York Times, built a vast commercial empire in South East Asia, 1st in Indonesia, then in Singapore. 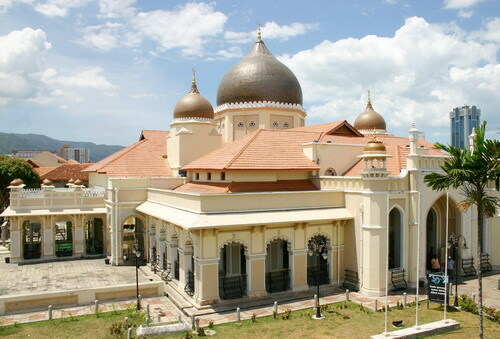 He came to Penang in 1890 and continued his success, giving some of his spoils to build schools throughout the region. His mansion, where he lived with his eight wives was built between 1896 and 1904. Inside are lavish adornments: stained glass, crown moldings, gilded wood-carved doors, ceramic ornaments & seven staircases. 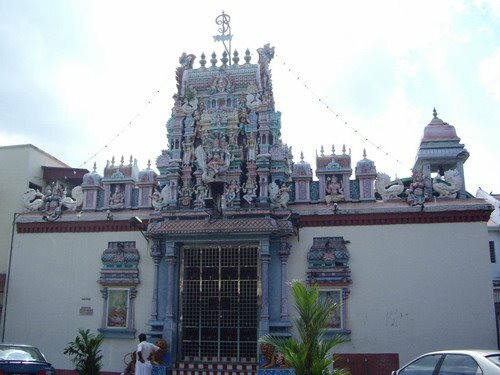 *Sri Mariamman Temple: A typical South Indian temple with its elaborately sculptured & painted superstructure (called "Gopura" in hindu) represents Mt Meru - the cosmic mountain that supports the heavens-that rises above its shrine. 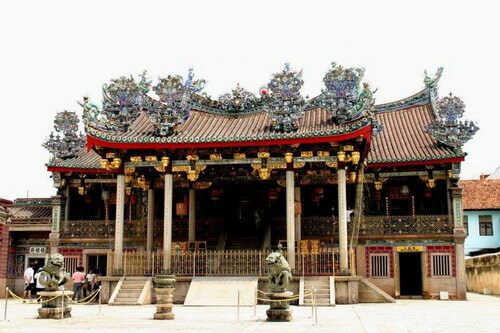 Built in 1883 , this is Georgetown's oldest Hindu temple & testimony to the strong Indian influence you'll find in this predominantly Chinese town. 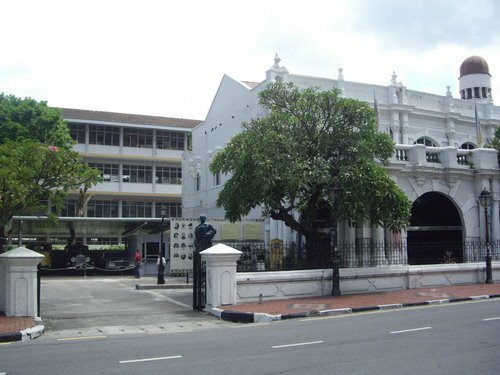 *Fort Cornwallis: Today , the battlement studded with old cannons are the only reminder of the fort that was built on the spot where Captain Francis Light first stepped ashore in 1786. 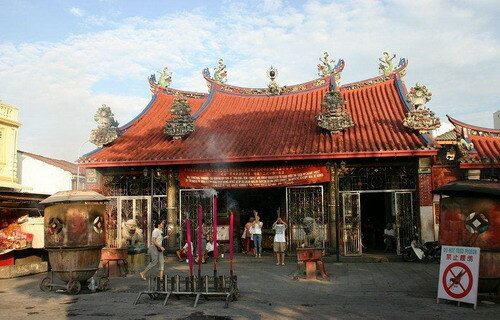 Seri Rambai, the largest & most important cannon here is famed for its provocative powers - childless women are advised to place flowers in the barrel and offer it special prayers. 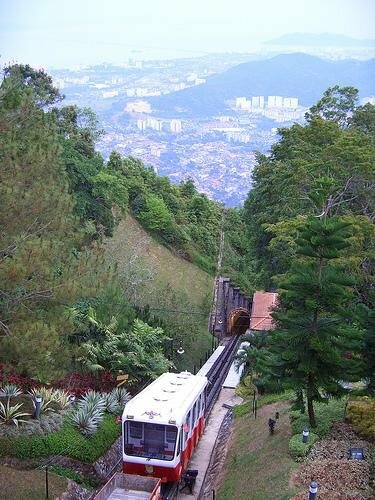 Penang Hill: Escape the city heat & catch some amazing views of Georgetown from Penang Hill(821 Mtrs). 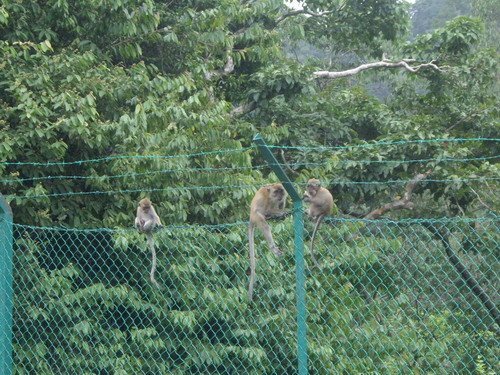 There are gardens, tea stalls, an aviary tree-top canopy swinging bridge walk, a Hindu Temple & a mosque at the top. 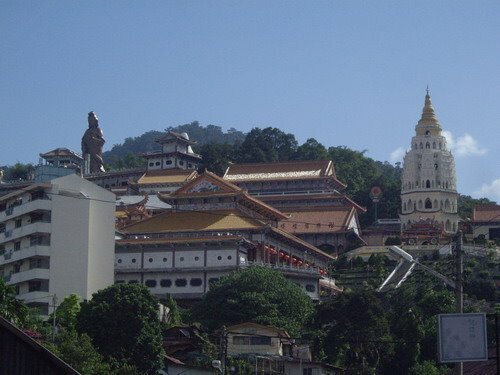 Penang Hill is at its best at dusk as Georgetown, far below starts to light up. / Open from 06.30am ti 9.30pm - Mon. to Fri.